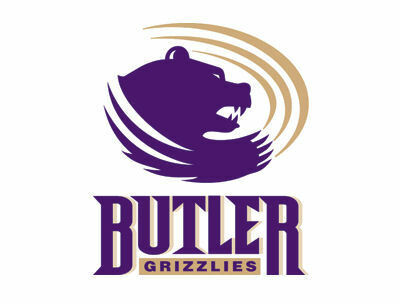 TONKAWA, Okla. – The Butler softball team earned its first doubleheader sweep of the 2015 season, winning a run-rule 8-0 contest in Game 1, then taking a 10-7 comeback win in the nightcap over Northern Oklahoma-Tonkawa on Tuesday. Freshman pitcher Jenny Hittinger earned both the wins for 10th-ranked Butler (7-10 overall, 2-2 Jayhawk West), allowing no runs in 11 1/3 innings. Hittinger allowed just seven total hits and struck out 10 hitters in the doubleheader. Sophomore infielder Monica Islava was the offensive star of the twinbill, hitting for the cycle in the second contest – a two-run triple to right in the first, an RBI double to deep left in the third inning, a single to left in the fourth and a solo home run to center in the sixth. Overall, Islava went 5-for-7 with a home run and five RBI in two games. Butler will turn around and play Wednesday in its home opener against conference foe Pratt. First pitch at East Park is at 3 p.m. The Grizzlies broke a scoreless tie in the top of the third inning with a pair of RBI doubles from Islava and Morgan Heckart. With one out, Megan Wurts reached first on an infield single, stole second and then advanced to third on a throwing error. After a walk to A’Liyah Rogers, Wurts scored on a wild pitch with Islava batting. Islava then doubled to right to score Rogers from third. Heckart capped the scoring with a double to center bringing in Islava. Butler then broke open the contest with four runs in the fourth. Three consecutive singles by Danae Bina, Karlie Peck and Aujanae McCoy loaded the bases. Wurts then smacked a two-run single to score Bina and Peck. Three batters later, Ally Knopp hit a two-run double to right field that scored Wurts and A’Liyah Rogers. Freshman Gracie Bogle ended the scoring for Butler with a solo home run to left field in the fifth, giving the Grizzlies an 8-0 lead. After allowing a leadoff single in the bottom of the fifth, Hittinger closed out the contest with three straight groundouts. Hittinger (4-2) allowed just four hits in the complete-game shutout, striking out four and walking just one. Offensively, Wurts went 2-for-3 with two runs scored and two RBI, while McCoy went 3-for-4. Bina went 2-for-2 with a run scored. Butler struck first with three runs in the first inning off Tonkawa starter Megan Rohrbough. Aujanae McCoy opened the inning with an infield single, stole second and advanced to third on a Megan Wurts double. Monica Islava then clubbed a two-run triple just over Mavericks right fielder Becky McCoy’s glove. Islava then scored on an Ally Knopp RBI groundout. Tonkawa answered with seven runs off Butler starter Gracie Bogle, who allowed the first six batters to reach base. Resha Clemons and Shawna Cary had consecutive RBI singles to score the first two runs, then Rohrbough hit a two-run double to left to put the Mavs up 4-3. After retiring two of the next three hitters, Bogle gave up an RBI infield single to Dani Reynolds and a two-run single to Becky McCoy. Jenny Hittinger then came in relief of Bogle to get the final out of the inning. In the third, the Grizzlies grabbed a run back when Islava doubled off the left-field wall to score Megan Wurts from second, pulling Butler within 7-4. Butler took back the lead in the fourth by sending 10 batters to the plate, scoring four runs on four hits and taking advantage of three errors. Morgan Heckart opened the inning with a single, then Karlie Peck came in to pinch run. Peck would move third on a fielding error, then score on a Haylee Lorenz sacrifice fly. With runners at the corners and one out, pinch runner Danae Bina scored from third on a passed ball to pull the Grizzlies within a run. A’Liyah Rogers then put Butler on top with a two-run single to left-center to score Jill Shipman and Aujanae McCoy. Islava and Knopp then added back-to-back solo home runs with two outs in the sixth to put Butler up 10-7. Islava’s blast, which went over the 12-foot wall in straight-away center field, completed the hitting cycle as she went 4-for-4 with four RBIs and two runs scored in the contest. McCoy and Wurts each had two hits and two runs scored, while Rogers and Knopp both had two RBIs. Hittinger (5-2) earned the win, pitching the final 6 1/3 innings while allowing just three hits and striking out six.